Home/Blog Post/Retirement is Anything but Boring! Retirement is Anything but Boring! 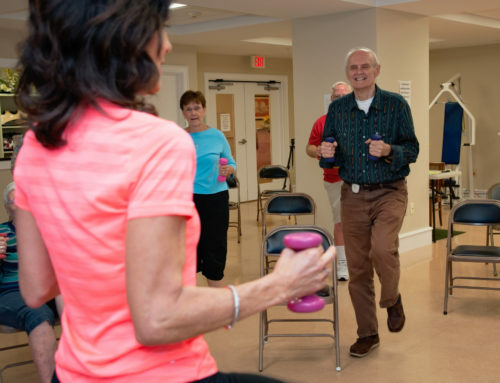 One of the most difficult things about moving into a retirement home is leaving behind your home, especially if it’s a home you have lived in for many years and made so many memories in. This was true for Joseph and Bianca. Or at least, that is what the couple thought would be true prior to moving into Buena Vida Estates. The two feared they would find themselves missing their big, beautiful house. It turns out, the move out of their home and into Buena Vida Estates was easier than anticipated. 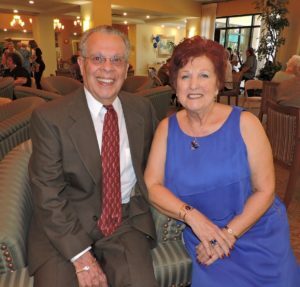 After moving all of their belongings from their old home and into their new residence at Buena Vida, the couple felt right at home. They knew they made the right decision for themselves, and not once did they regret it! “We might have downsized as far as space, but not on amenities and friendship,” the couple explained. As for their daily lives, Joseph and Bianca find that their daily calendar is so full of activities to choose from that they are never bored. Even better is the food available to them. There are so many choices of what to eat, and they appreciate the fact that they do not have to cook. 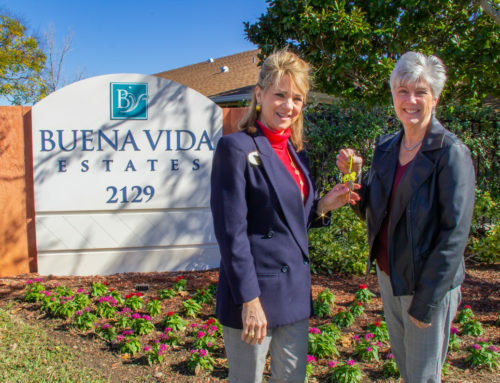 Joseph and Bianca have noted that the Buena Vida Estates staff and directors always make themselves available so that if they ever have any questions or need assistance, they are ready to help. Buena Vida has given both Joseph and Bianca, as well as their children, a peace of mind in knowing the couple is well taken care of, and happy, at Buena Vida Estates. 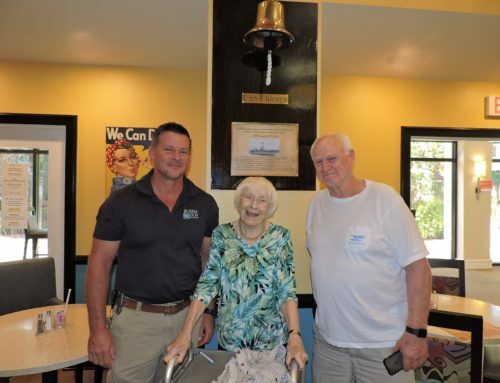 The same can be said for another resident, Nancy, who moved into Buena Vida Estates on December 19, 2013 and hasn’t looked back since. 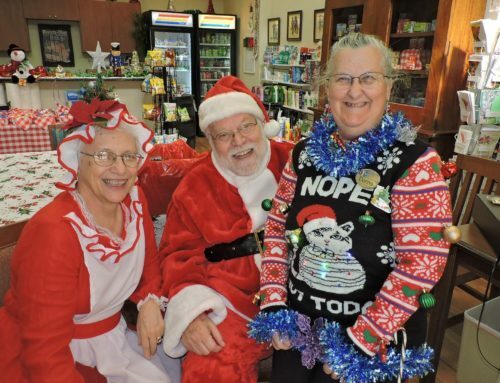 Nancy first became familiar with Buena Vida when she used to work as a local bereavement volunteer for Hospice. It was then that she realized Buena Vida Estates was where she wanted to live for the rest of her life when she retired. 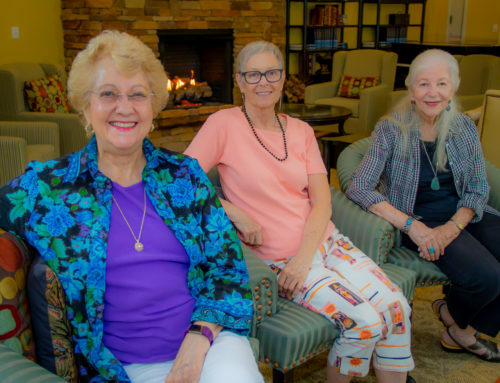 The idea of not having to worry about doing housework, not having to cook, and having more activities and classes than time allows was perfect for her, as it is for most of our residents at Buena Vida. The fact that she has peace of mind knowing she will be taken care of for the rest of her life is also an especially comforting aspect. 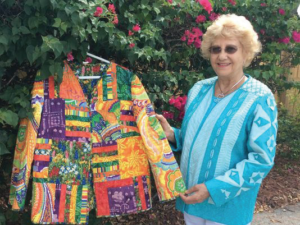 Nancy explains “My passion is creating quilted jackets and door hangings, so my living room area is devoted to sewing.” In fact, Nancy enjoys quilting so much that she presented the idea of having a quilt group here at Buena Vida, called The Buena Vida Stitchers. The group makes quilt tops for homeless children and sews stuffed animals for children in the hospital emergency room. By buenavida|2017-12-07T21:19:28+00:00September 26th, 2017|Blog Post|Comments Off on Retirement is Anything but Boring!